About Natacha A. Message Natacha A.
Natacha is very knowledgable of the city and quickly adapted to the tour to my needs. TOUR GUIDE RESPONSE: Thank you for your kind words and your comment, Markus. It was a pleasure walking with you. Natacha was very knowledgable and proud to share Odessa with us. We did find her impatient, dry and not tuned-in to traveller needs (washroom stops, water, help ordering local cuisine). The services were overpriced, and there were multiple items in the agreed-upon itinerary that we later learned we could not visit. We learned a lot but I would not highly recommend this guide. TOUR GUIDE RESPONSE: I am shocked by this review. I felt I did all I could to cater to your every request. I was asked to do things for this group that were ethically questionable and I refused and I feel this is the main reason for the poor comments. I will not go into further detail for the customers benefit. Natacha is a very knowledgeable guide...weather was not perfect (cold and misty)...but we learned a lot! Plus she took great pictures of us!! 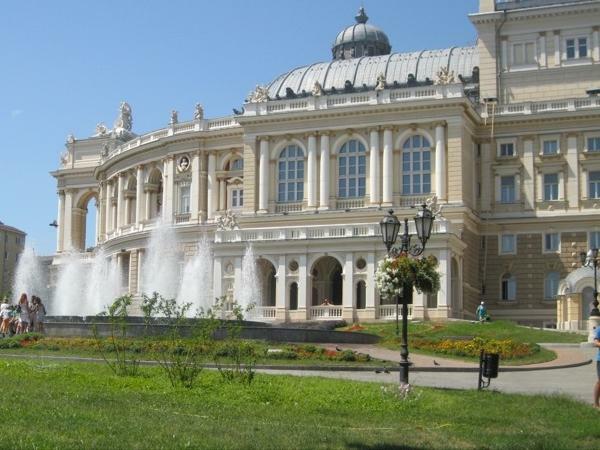 Our only suggestion, would be when someone books Odessa, ask if they would like to see the inside of the Opera House..as the guide needs at least 2 weeks notice to organize the tour. We will have to visit in better weather! Natasha's English was difficult to understand. Additionally she did not project making it hard to hear. TOURSBYLOCALS RESPONSE: The comments above were passed to the guide. In order to avoid a situation like Mr Millman's we strongly recommend our customers to hear how Natacha sounds, in order to do so, one needs to click on the "View Movie" button located below her photo on her profile page. Natacha was very knowledgeable about Odessa and helpful with picture taking. TOUR GUIDE RESPONSE: Thank you very much, Michael. It was a pleasure for me to meet you all. Hope to see you in Odessa again some time. While her preparation, knowledge and enthusiasm were excellent, it was difficult to hear her voice at times (we are seniors with minor hearing problems). Especially appreciated the photographs which she took and emailed to us. Good tour!